I knew it was coming. The storm. Everything was so good it was scaring me. I was looking around wondering what it might be? A death, sickness,losing a job….BUT All I could do and am called to do is bless his name no matter if I am in plenty or in need. Well my storm has come and I am calling on him. In tears and in pain. I don’t think anyone understands how it feels to lose a baby….six weeks, six days or six years. It hurts. Only a mother knows and understands. The baby is yours the day you conceive…you talk to it, you love it, feed it and imagine what its going to look like, its yours to “carry” forever. Then you carry the guilt of not only miscarring one baby but yet another. What was it? I need an answer, I want an answer. But if you listen….the answer is clear. Slowly you begin to feel that peace…slowly. Knowing that others are praying for you. Knowing that others know how you feel. Knowing that they are also carring your burden. YES GOD is near…he is here and he does hear me. You read a verse, you hear a story, you talk to you mom or a friend and they have the right words. He is speaking to me through the bible or the powerful prayer of my loving husband. His blessings even in the mist of my pain are still present and very visible. Then I take a look at the two little miracles that he has given me. Perfect. MIRACLES. and my tears come but with joy. I will never abandoned him. HE the Lord is all I have. He knows my longing for a big family. He knows how much my children are loved. I trust him. He knows what he is doing. He has never left me and for that my faith remains strong. He knows what I desire and I know he will give me other children to love in heaven and on earth. You’re breaking my heart…remember HE dwells in the midst of our praise…. I am so sorry and my prayers are with you and yours! Destiny I’m so sorry. I’ll be praying for you & your family. Best wishes. I am sorry to hear you’re going through this again. There is a reason…we may not know why. You have 2 beautiful miracles…looking at them will bring a smile to your face and thankfulness to your heart. 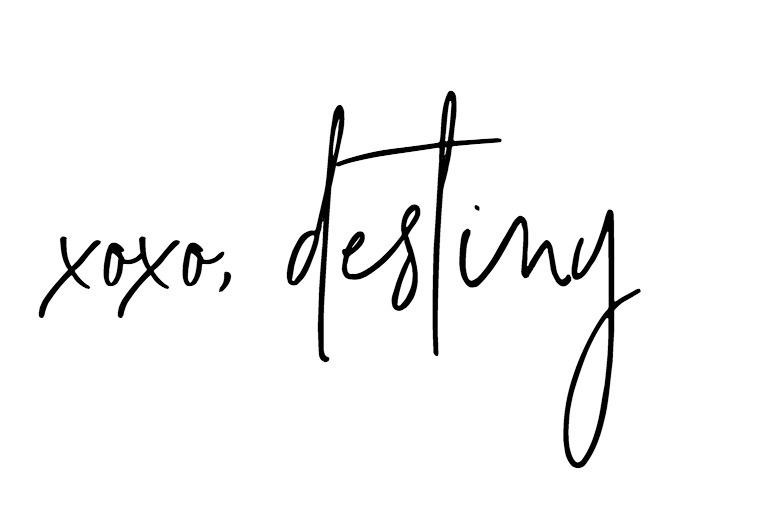 Destiny… Continue to be strong in your faith! PSALMS 18:1-2 I LOVE YOU LORD, MY STRENGTH.THE LORD IS MY ROCK,MY FORTRESS AND MY DELIVERER;MY GOD IS MY ROCK, IN WHOM I TAKE REFUGE, MY SHEILD AND MY HORN OF MY SALVATION, MY STRONGHOLD. These words of comfort from the Lord… How sweet is that?! He always has an answer for us even in the darkest times of our lives… How magnificent!!! I love you and I will continue praying for your peace and understanding! Never give up your dreams! I am so sorry to hear of your loss. I will continuously lift you up in prayer. Thank you all soo much. Your prayers have been felt and I am so blessed to have such and amazing group of prayer WARRIORS!! Iam feeling alot better and Reggie and I are staying VERY faithful that God will bless us again!! !